Searching for the best laptop within a budget of 40000 to 45000 Rs? Here, we’ve shared 5 great notebooks you can buy in India for below 45K. If you come across an i7 CPU powered laptop below 45000 in a shop nearby you, ignore the laptop because the processor or the hardware in it might be outdated. What is the best configuration you can get for a budget under 45000? A sixth or seventh generation core I5 processor. NVIDIA or AMD graphics processor. Why should you buy a laptop online? The biggest advantage of buying new electronic goods online is that the eCommerce portals have a review section through which customers can get an idea of a product’s performance before buying it. If you get a defective product, you can return the product without having to explain the issue to the delivery guy or the company. TravelMate P2 costs below 42000 Rs and it has excellent features. P2 comes with a Turbo Boost technology powered 7th Generation Intel Core i7 2.5 GHz processor and has a DD34 8GB RAM. The Acer device runs on the world’s most popular Linux Distro, Ubuntu. It has a DVD Writer and a 1TB capacity hard disk. TravelMate P2 includes a 4-cell 45-Watt battery, which according to Acer offers an incredible backup power of 480 minutes. Acer P2 has an NVIDIA GeForce 940MX graphics processor coupled with GDDR5 2GB video memory. TravelMate P2 packs a 15.6-inch HD LED Backlit display and it flaunts a USB-Type C port. It offers an HDMI port and has a card reader module. P2 offers Wake-on-LAN feature enabled Gigabit Ethernet card. It has a built-in microphone, Bluetooth 4.2 and two speakers. The weight of the Acer TravelMate 2 notebook is 2.21 kilograms and its price is 42999 INR. Vostro 3568 is a top-rated and best-selling Dell laptop within 40000 to 45000 Rs range. Vostro 3568 is a beautiful notebook with a good configuration. Vostro 3568 provides a dedicated AMD M430 graphics processor. Hence, it is capable of running any game of your choice. This device ships with a 7th Generation dual-core Core i5 Intel processor. According to its official listing page on Flipkart, Vostro 3568 packs 2GB VRAM and has 1TB HDD. Dell 3568 offers 8GB DDR4 RAM and a battery backup of up to 4.5 hours. It includes a high-definition widescreen web camera and a CD/DVD writer. Dell Vostro 3568 is an everyday use laptop that runs on 64-bit Linux OS. It supports Windows 10 OS and has Bluetooth 4.0, Gigabit Ethernet card, etc. IP 320E 80XL03FUIN has a mind-blowing rating of 4.3 on Flipkart from 5000+ users, out of the box specifications and a great design. 320E has a dedicated NVIDIA graphics processing unit and 2GB GDDR5 video memory. It provides 8GB DDR4 RAM and 3-Watt speakers powered by Dolby Sound technology. IP 320E has an Anti-glare IPS TN 15.6-inch HD LED-backlit display. It is powered by a 2-cell 65-Watt battery which saves 5 hours of backup power. Like other laptops we’ve covered here, IP 320E packs a new Generation Intel Core i5 processor, which has a maximum clock speed of 3.1 GHz. Lenovo IP 320 has a 1 terabyte hard disk and free disk operating system. It offers USB Type C port, standard keyboard, BT 4.1, and 1000 Mbps Ethernet (LAN) card. IP 320E costs 41991 Rs. R541UJ is a full HD laptop under 45000 Rs equipped with a B & O sound chip. It has an NVIDIA N16V-GM-S (920M) graphics processor and 2GB GDD3 VRAM. R541UJ offers a 15.6-inch anti-glare display with LED backlit system and a SATA 1 TB hard disk drive. It lacks USB Type C port and includes a USB 3.1, 2.0, and 3.0 port. The Asus device has a card reader, HDMI port, and free 64-bit disk operating system. It provides DDR4 8GB system memory which users can expand up to 24GB. 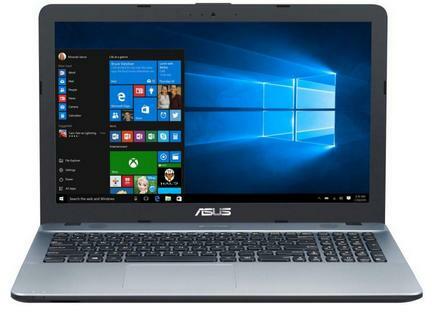 The Asus R54IUJ notebook’s 65-Watt battery lasts for up to 290 minutes on a single charge. It weighs below 2 Kg and has a latest Core i5 processor, 3-Watt speaker, BT 4.0, and 100 Mbps LAN card. Asus 3541UJ costs 45090 Rs. BU011TX is the best HP laptop under 45000 Rs right now. It has the latest R5 series AMD GPU and a brilliant design. BU011TX belongs to HP’s Imprint series of notebooks. It has Core i5 (7000U) Intel 2500 MHz processor that has a top clock speed of 3.1 GHz. This device sports an HP BrightView led backlit HD display and it ships with two speakers. It packs DDR4 8GB RAM and 1TB hard disk. HP BU011TX features a three-in-one card reader, 2 USB 3.0 and a single USB 2.0 port. It lets users upgrade the system memory up to 16GB. It packs a four-cell 65-Watt battery, i5 7th Generation Intel processor, and 2GB DDR3 video memory. HP Imprint BU011TX costs 44000 Rupees. Conclusion: Acer TravelMate P2, HP IP BU011TX, Lenovo IP 320E and Asus R541UJ are the 5 best laptops under 45000 Rs in India.